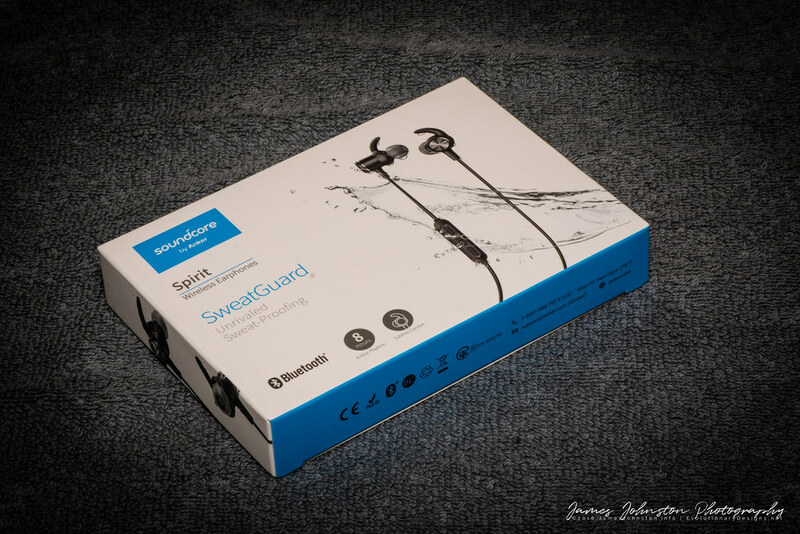 Almost 2 weeks ago Anker sent my a sample of their new Soundcore Spirit Wireless Bluetooth Earphones to test and review and I have to say I am impressed with the quality of sound they produce, the quality of waterproofing/sweatproofing and the price of the earbuds. You get a premium set of earbuds at budget prices. Below is my complete review. The earbuds came in the new white and blue packaging that all of the Anker Soundcore products now come in. As always the box has enough info on it to tell you what is in the box. After opening the box I found the earbuds to be secured in a smaller box while the rest of the contents were stored in a second box next to it. 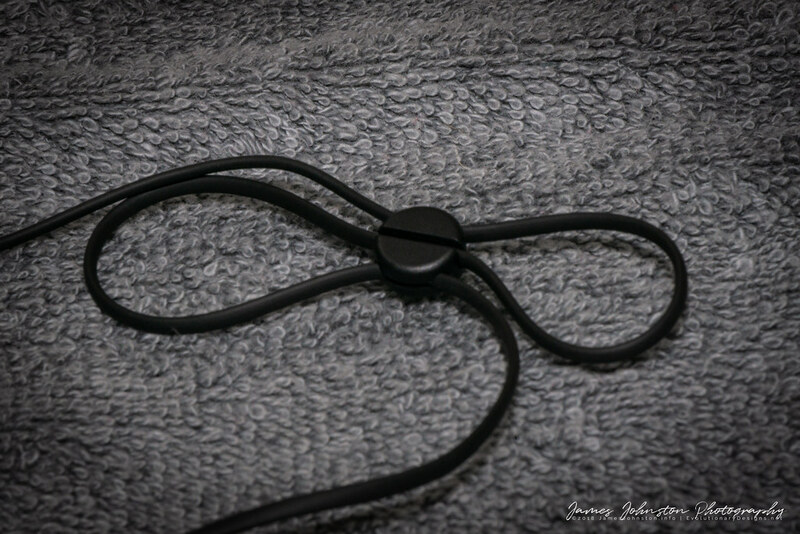 When I pulled out the earbuds I found them to be made well and very similar to Anker Soundcore Slims+ with a few design changes. 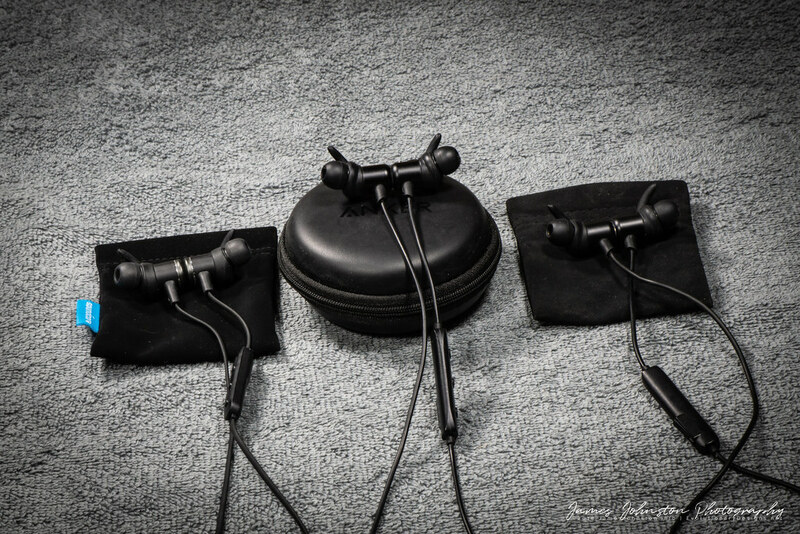 First I tested the earhooks and found that the ones that came installed fit me the best. 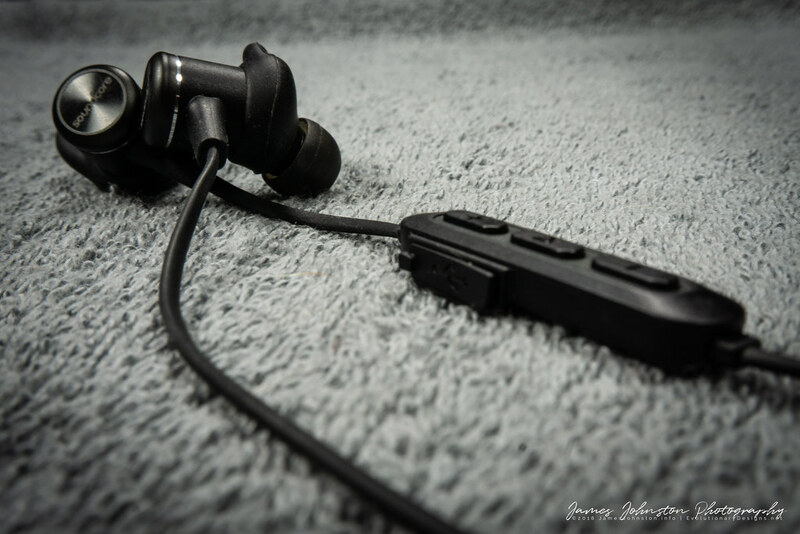 The better fit you have the better sound and noise cancellation you will get. Next I connected to my LG G4 and found that it connected on the first try. The earbuds came fully charged. After 8 hours of normal use, I had to recharge my headset. It took about 2 hours to charge using my Anker USB hub. For over a week I tested the quality of sound in different environments with different types of music. I used my standard playlist to test the sound quality. For the first test I listened to Spotify for over an hour in the quiet of my living room after everyone was asleep. I listened to rock, metal, rap, country, jazz and blues that night. Everything sounded great. The highs sounded good, the lows had just the right amount of bass (turn it up to loud and the bass starts cracking) the mids were they needed to be. The next test I ran was listening to audiobooks via Overdrive or Libby android apps. The sound was good. In noisy environments like the gym I could hear everything without turning the sound up to high. For the third test I operated my tractor while cutting grass for a combined time of 4 hours. I had to turn the music up when cutting. But just normal operations of the tractor, about 75% was fine. Next I tested how well the IPX7 Waterproofing and the new Sweat Guard Technology worked. There have been several successful tests completed where the test placed the earbuds and controls into a bowl of saltwater and left it playing music for 8 hours. Because of these tests I decided to do some real world testing. For the first test, I did a heavy hour plus workout with cardio and lifting heavy weights. During these long sessions I sweat a lot. 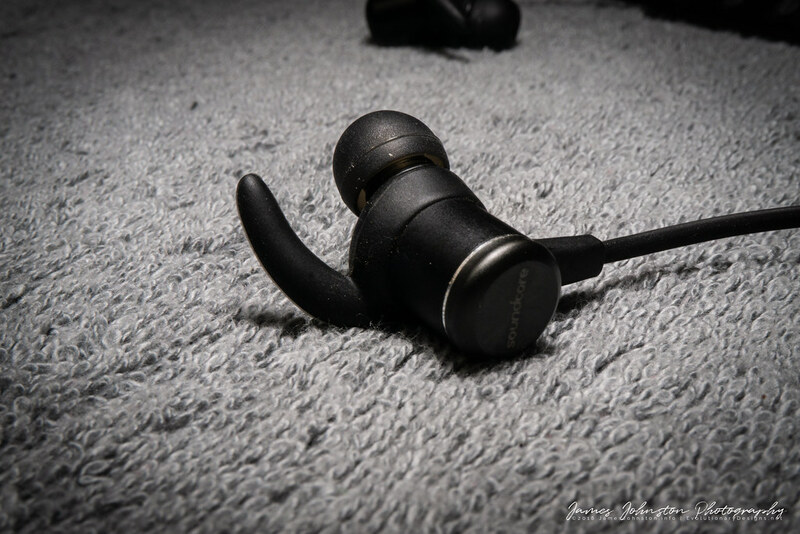 I had no issues with the Soundcore Spirit Wireless Bluetooth Earphones. They were damp but no moisture had gotten into the earbuds or the controls. Next I did some work in the garden and the property. I normally use Bluetooth speakers since I get sweaty, muddy, and just plain dirty working around the property. This kind of activity could damage a set of wireless earbuds. During this testing process, I tested in a wet environment (setting up and aiming sprinklers) and I was soaked from the face to my waste, I also dug holes/weeded the garden in 100 degree weather, I road tractors, and I did some push mower/string trimming work. During this process I was muddy, soaked in sweat/water, and covered in dust and grass clippings. The earbuds sounded good and had no issues staying on, connected, and controlling the music. I found occasionally with the Slims and the Slims+ in this working environment it was just to much for them. 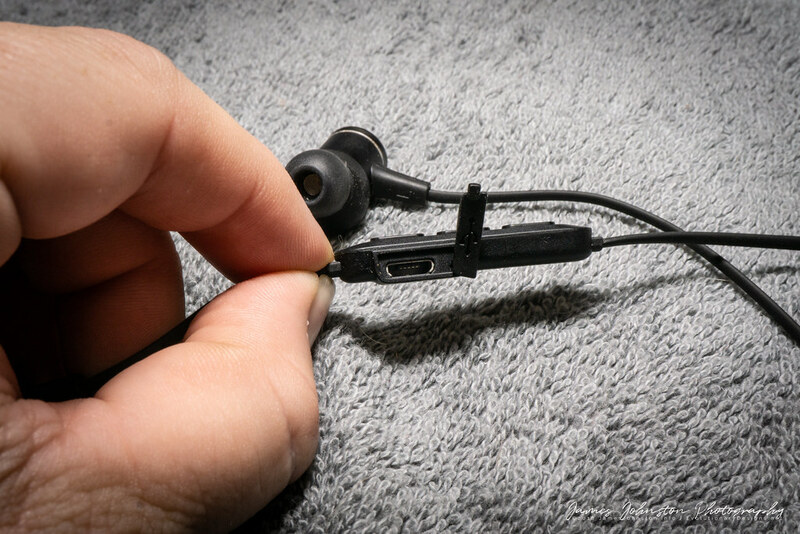 If the weather was to hot or if I was sweating to much the earbuds would shut down and need to be restarted and reconnected. The sound quality never failed me and I still use them as backups now. For the final test I wanted to test getting stuck in a down pour. But since this is Texas and its summertime that I won’t happen any time soon. So I got the idea of taking a shower with them on. I got this idea from a community member over at the Anker Forums. He said they held up well. So I started the shower and stepped in and found they worked and didn’t have any issues. This test was to simulate dumping a water bucket over your head or having a water hose sprayed at you. I only had them in the water for about 5 minutes. The earbuds were in my ears and they sound great! I tested the phone feature and found it works good with Google Assistant. I used the earphones to call someone and we talked for about 2o minutes. But my beard got in the way of the mic and caused some weird crackling sounds. If I pulled my beard away from the mic it worked great. 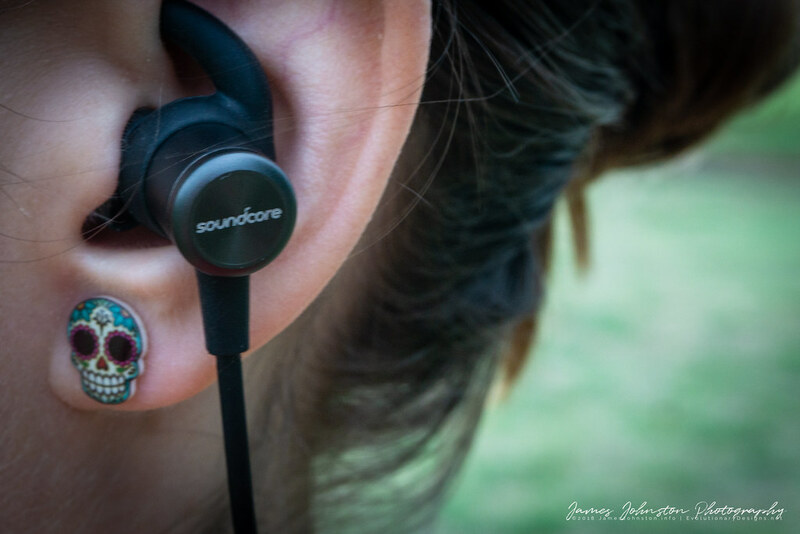 I love the new Soundcore Spirit Wireless Bluetooth Earphones. Everything about them is what I am looking for in a set of sport Earbuds. What I don’t like is the wire management system. I sweat a lot and like having a long wire that hangs down to my shoulders or where my neck meets my back. The rubber wires get sticky when they are wet. Even with the ear hooks they can pull out of your ears. I had this issue with my Anker Slims. The wire was to short. But with Spirits its has a longer wire that’s even longer than the Slim+. With the wire management system it shortens the wire. But it sticks to your neck. Plus putting the wire in into the clips and making adjustments is a hot mess. I don’t like it and its to much trouble to deal with. Also with the Spirit Anker down graded the storage case. The slim+ came with hard case. But with the Spirit it now has a fabric bag like the original slims. I just switched out the cases and I am happy with earphones. 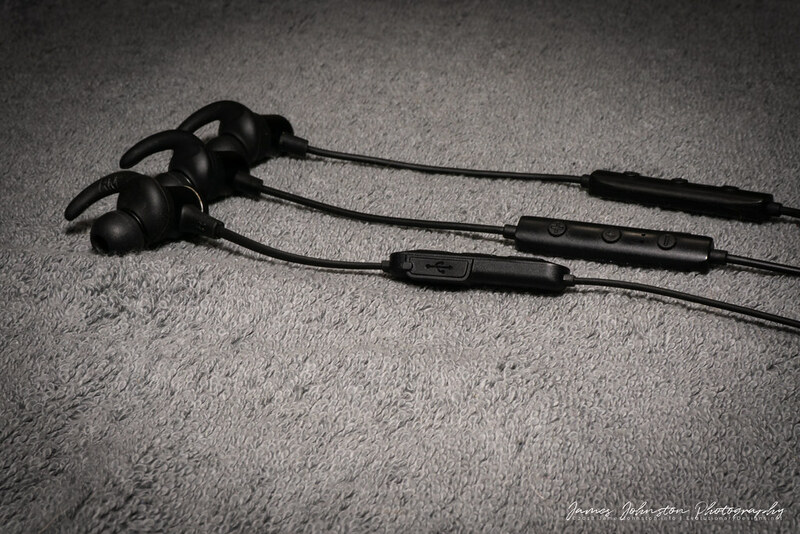 I highly recommend the new Soundcore Spirit Wireless Bluetooth Earphones. These are perfect for those with an active lifestyle. 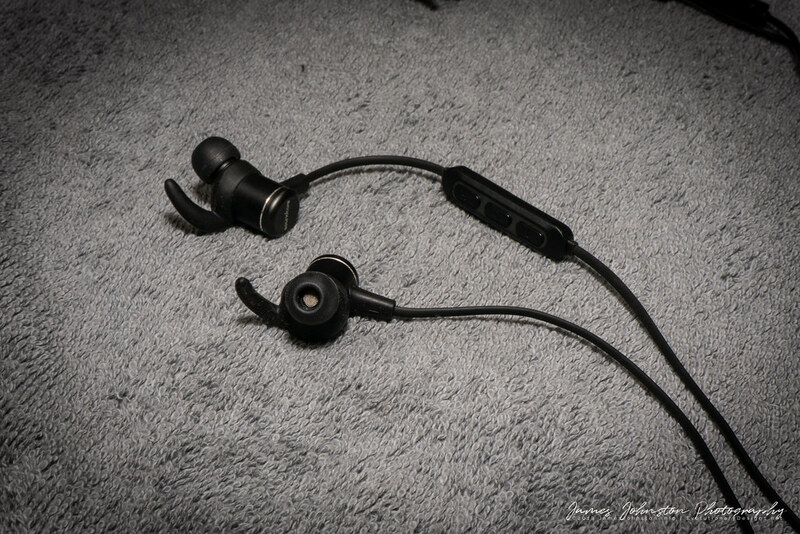 They sound great for a pair of earbuds that cost less than $50. Just don’t go in thinking these will sound as good as a pair of $100 earphones. I have a late August need for audio buds with a big battery and good waterproofness I intend to recharge off solar. Any idea which of the hundreds many Anker options would suit? Great review @Element321 and awesome pictures!